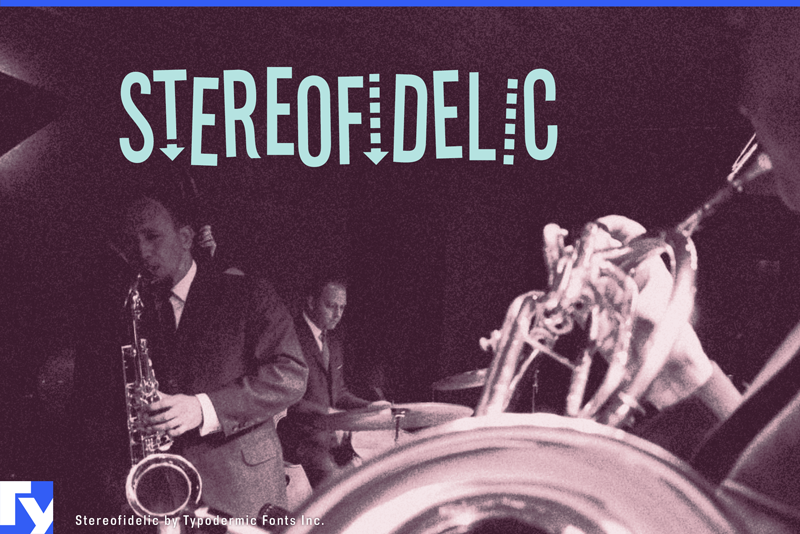 Stereofidelic is a fun, narrow headline font, created in 1999. The latest version has a lot of redrawn characters and a new set of alternates. In OpenType savvy applications, letters are automatically shuffled to create a more random appearance.